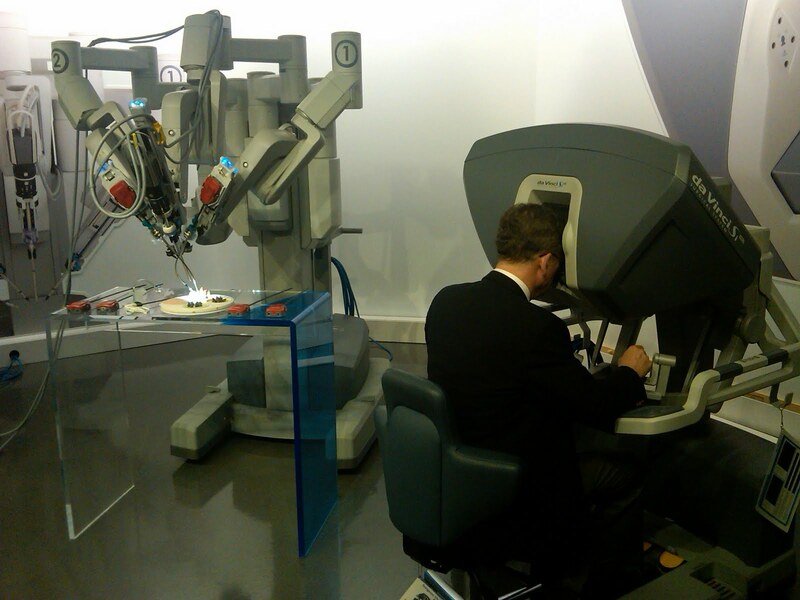 The DaVinci Surgical System is used for performing delicate surgical procedures. Though it is not used frequently in children, Dr. Peters has implemented it in pediatric urology for several years, operating on children as young as 3 months old. The team’s goal on this trip was to help build a research relationship with Intuitive, in the hopes that Children’s National and the Sheikh Zayed Institute can collaborate with the company to conduct research into effective pediatric uses of the surgical robotic system. The team toured the manufacturing plant and were able to try out the latest technical systems in real-time and simulation. 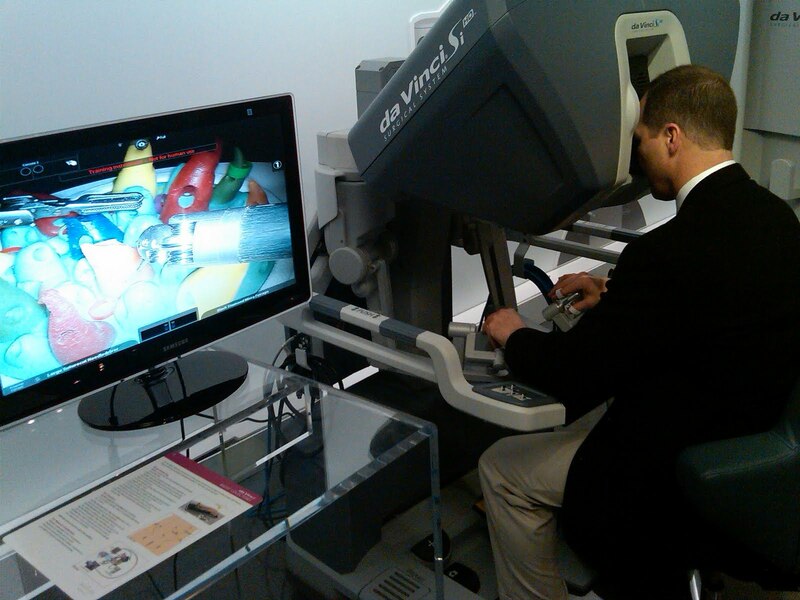 One highlight was Intuitive’s new integrated virtual reality simulation package, which permits enhanced teaching, practice, and assessment of surgical robotic skills. The 3D surgical simulation experience, coupled with the look and feel of a high-end video game, made it very difficult for some of the team to walk away from the system at the end of their time. 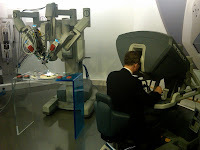 The following day, four members of the team visited SRI International, a world renown research institute that originally created the technology for the DaVinci Surgical System. Set on a shaded campus adjacent to Stanford University, SRI International was far removed from the business-like atmosphere of Intuitive Surgical. The team met with SRI to share ideas about the direction of pediatric robotic surgery and to learn about ongoing novel projects at SRI related to minimally invasive and robotic surgery. Many of those developments could also apply to children. Overall, these site visits helped the team in many ways, including reinforcing their commitment to developing novel means to enhance surgical robotics for children. More visits to additional research facilities and organizations, to learn and build on best practices from around the world, will be an integral part of the Institute’s development and knowledge sharing efforts in years to come.